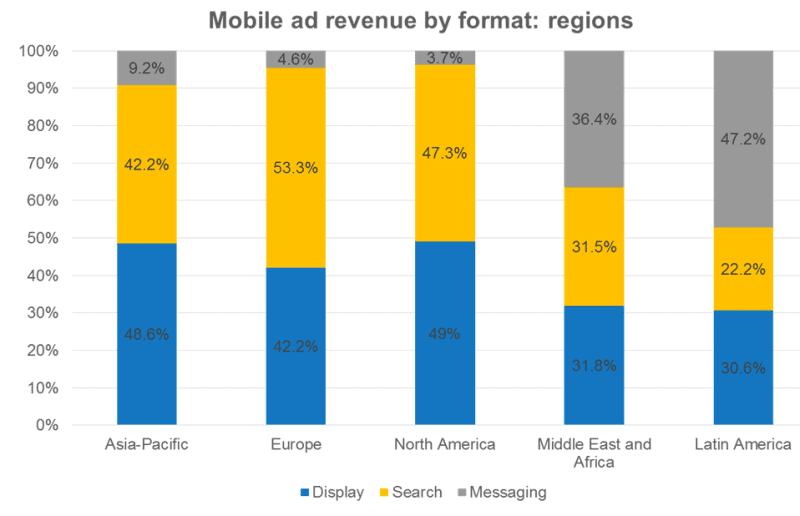 According to an Interactive Advertising Bureau (IAB), Global mobile advertising revenue amplified 64.8 per cent to $31.9billion last year, up from $19.3billion in 2013. A report from IAB states that total global mobile ad revenue in 2014 reached $31.9 billion, which is astriking 64.8 percent jump over 2013. For the first time ever, mobile display ad earnings topped search. Rising to $15.1 billion, mobile display ads represented nearly half (47.4%) of the total mobile ad revenue in 2014 and saw the highest growth rate of all mobile ads, at 88.1 percent. Mobile display ads brought in $15.1 billion in 2014, beating mobile search ads for the first time.While mobile display represented 47.4 per cent of all mobile ad revenue last year, mobile search made up 46.1 per cent with $14.7billion.